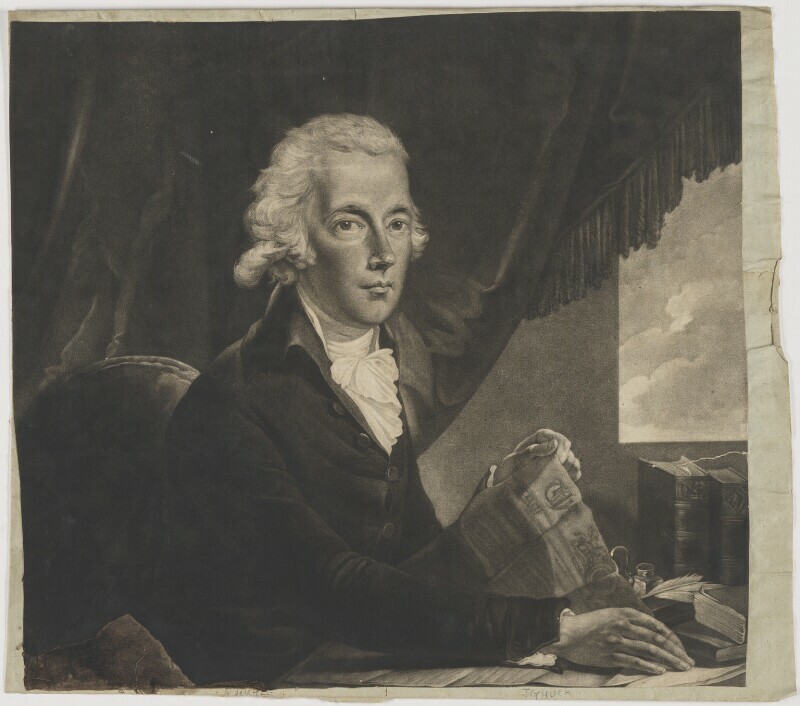 William Pitt (1759-1806), Prime Minister. Sitter associated with 173 portraits. Karl Anton Hickel (1745-1798). Artist associated with 5 portraits. Johann Gerhard Huck (1759-1811), Artist. Artist associated with 2 portraits. Attempts to modify the Test and Corporation Acts are defeated, despite campaigning by dissenters such as the prominent Unitarian preacher and pamphleteer, Richard Price. The Acts prevented those outside the established church from holding government or military office. Joseph Mallord William Turner exhibits his first painting at the Royal Academy; a watercolour of The Archbishop's Palace, Lambeth. The Firth to Clyde and Oxford to Birmingham canals are begun. Edmund Burke publishes Reflections on the Revolution in France. A landmark work of opposition to the Revolution which offered a critique of the radical philosophy behind events in France; the Reflections have been read as an articulation of the foundations of modern British conservatism. George Vancouver explores the north west coast of America.